A listing of plant materials used to perfume kapa (bark cloth), as used by Hawaiians before the first-known contact with foreigners. Krauss. 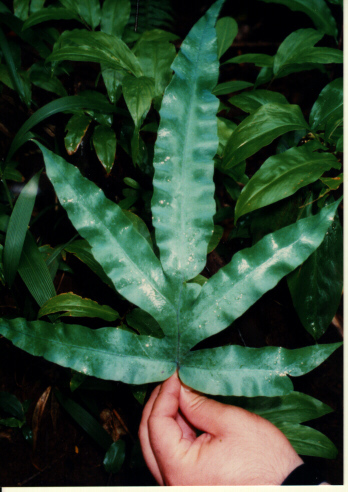 Beatrice H., Plants in Hawaiian Culture, University of Hawai`i Press, Honolulu, 1993. Hawaiians perfumed their kapa by adding scented material to kapa dyes. Most commonly used plant to perfume kapa dyes. Fern fronds were first heated with hot stones and the fragrant sap was pressed out and added to dyes. Laua`e celebrated in an oli (chant): Pualani Kanaka`ole Kanahele & Nâlani Kanaka`ole. Another perfume sometimes added to the dye was the sap of the kamani (to be discussed below). Hawaiians perfumed their finished kapa by laying scented plant materials between the folds of stored kapa. These were pre-contact equivalents of present-day sachets. A native evergreen shrub/tree, from which a powder was derived from its scented heartwood. Mountain ginger, also called shampoo ginger. Aromatic rhizomes (underground stems) were used for perfuming. 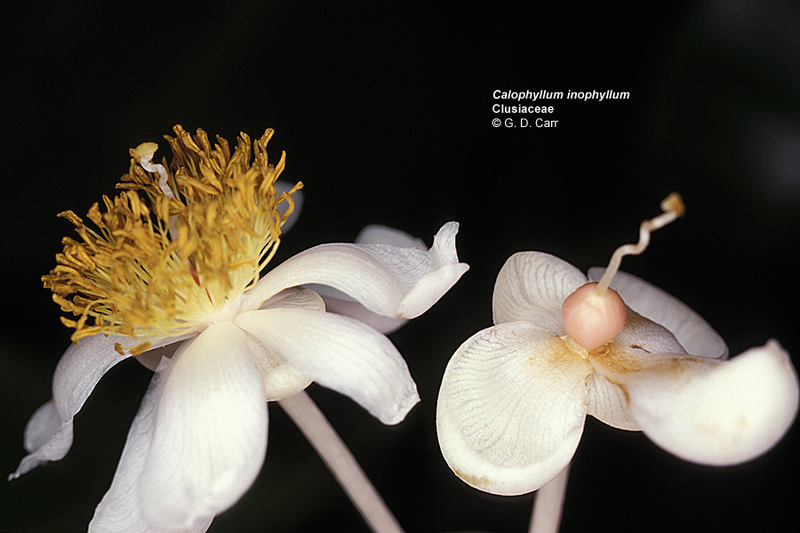 The mature flower head is saturated with a sudsy, slimy, highly aromatic sap. 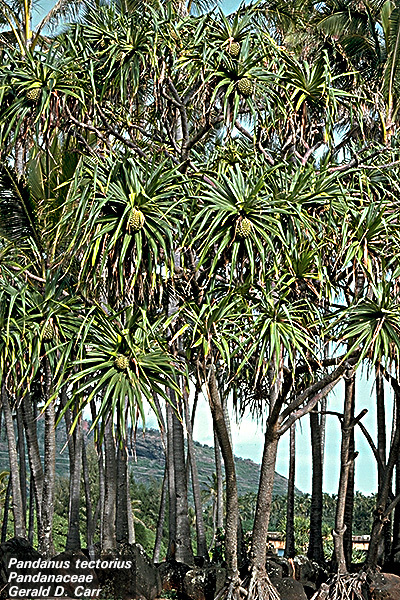 Lei were made of the small, leathery, oval, anise-scented fruits, which change from green to brown and grow more fragrant as they dry, and twigs from a native tree that grows only on the island of Kaua`i. 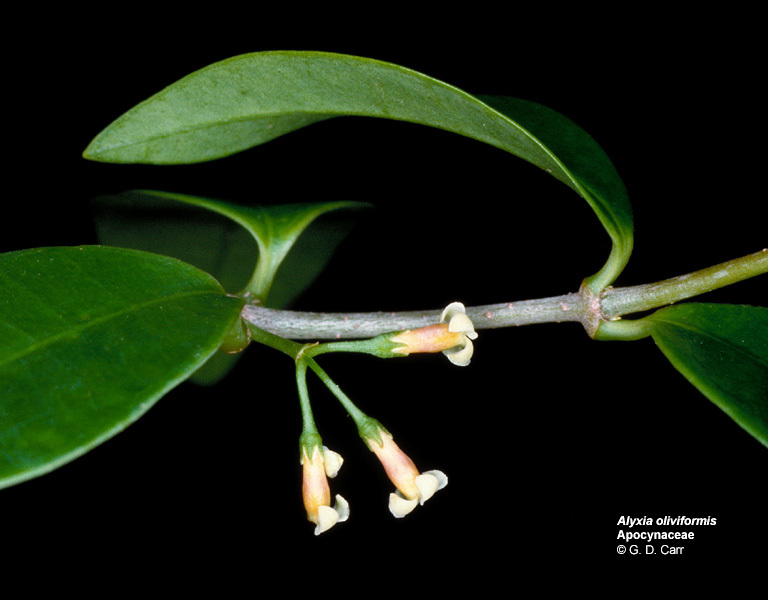 A native Hawaiian shrubby vine, straggling on the ground or twining on shrubs and trees in native forests. 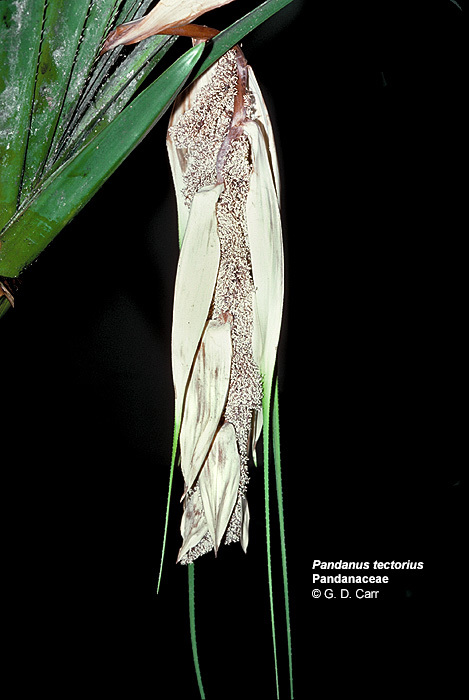 The bark of the stems and leaves are highly scented with a vanilla-like, woodsy scent, when bruised. White with many bright yellow stamens, very fragrant flowers, reminiscent of orange-blossoms. More on the kamani. 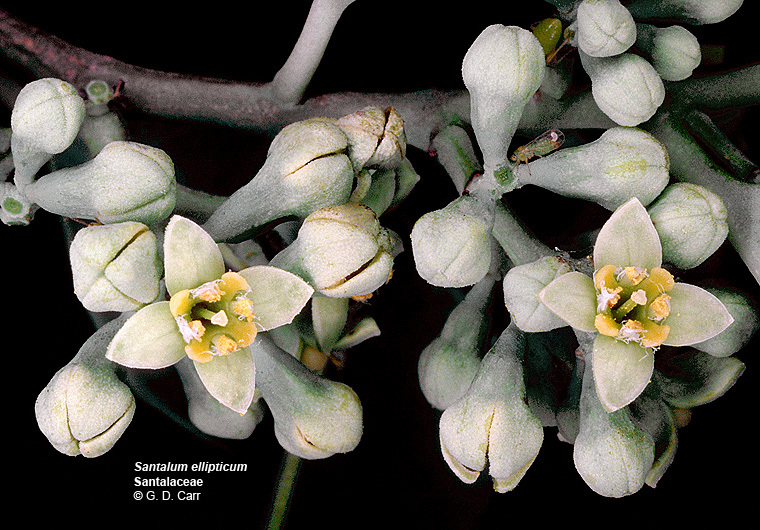 The male inflorescence consists of a "spike" about a foot long surrounded along its length by overlapping white, narrow, pointed, fragrant bracts that cover large clusters of very small flowers conspicuous for their pollen ( `ehu hînano = dust (of the) hînano). Hînano celebrated in song: Pua Hînano by Puakea Nogelmeier.